Making the finger puppets is really straight forward and only takes a few minutes to make each one. The Bostik Fast Tak is very sticky so that part is definitely a job for the adults, and it's best to use it in a well-ventilated area. The key with the Fast Tak is to use is sparingly! - Wind the pipe cleaners around your finger to make them into spirals. 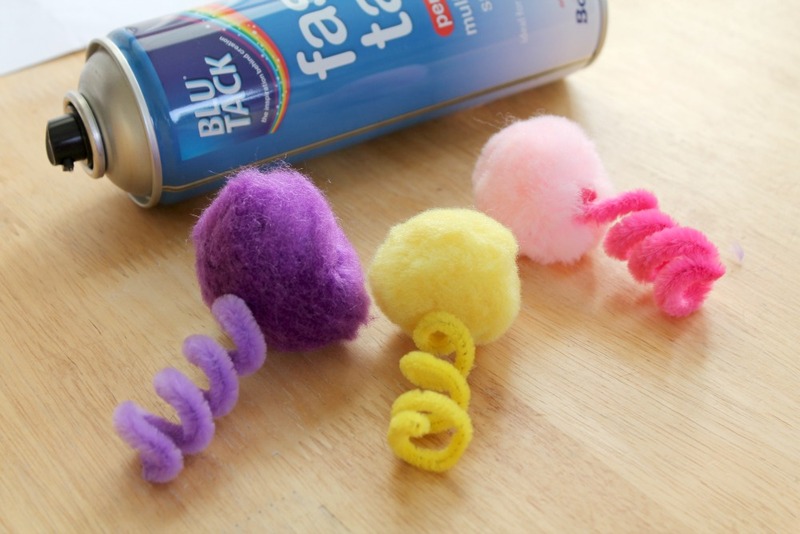 - Spray a small amount of Bostik Fast Tak on one end of the pipe cleaner and press firmly onto a large pom pom. - Spray a small amount of Fast Tak on to the small pom poms (for the bunny's nose) or the back of the foam (for the chick's beak) and stick them to the large pom pom. 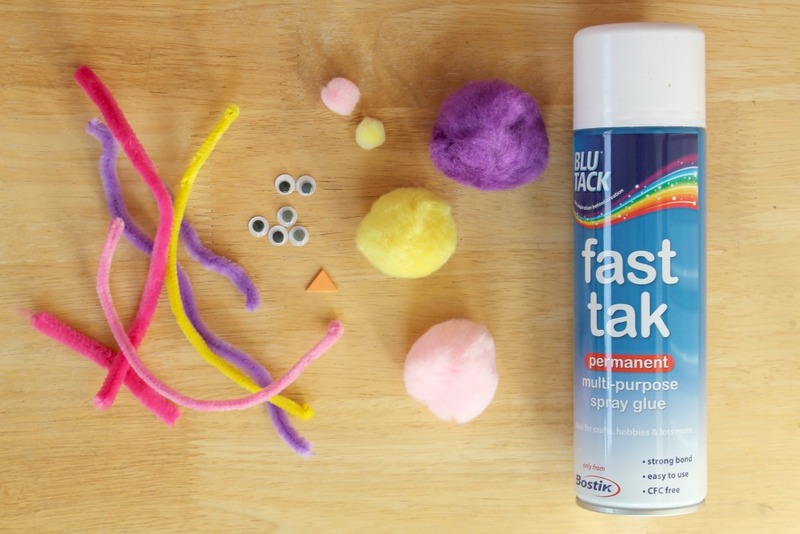 - Stick the googly eyes onto the large pom pom. - To make the bunny's ears, take a pipe cleaner and fold it up and down to make an "M" shape. Spray a small amount of Fast Tak to the bottom and press firmly onto the large pom pom. 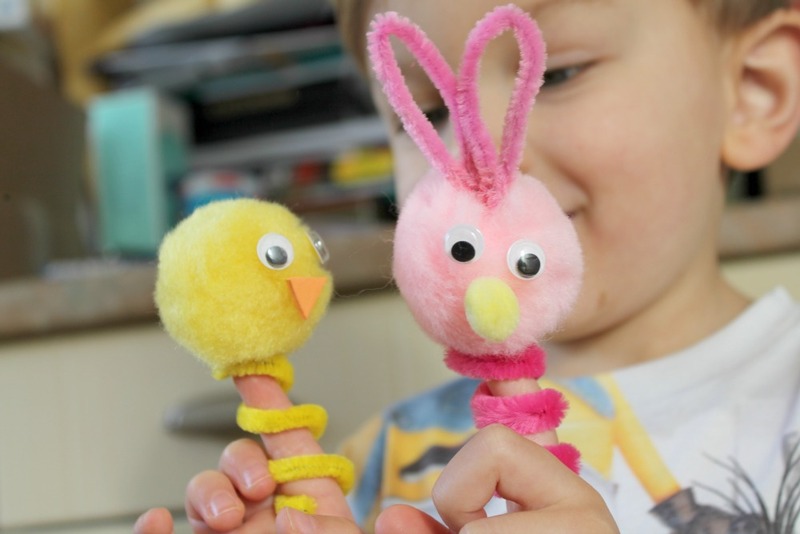 - Once the glue has dried, which takes minutes, your Easter themed pipe cleaner finger puppets are ready to be played with! 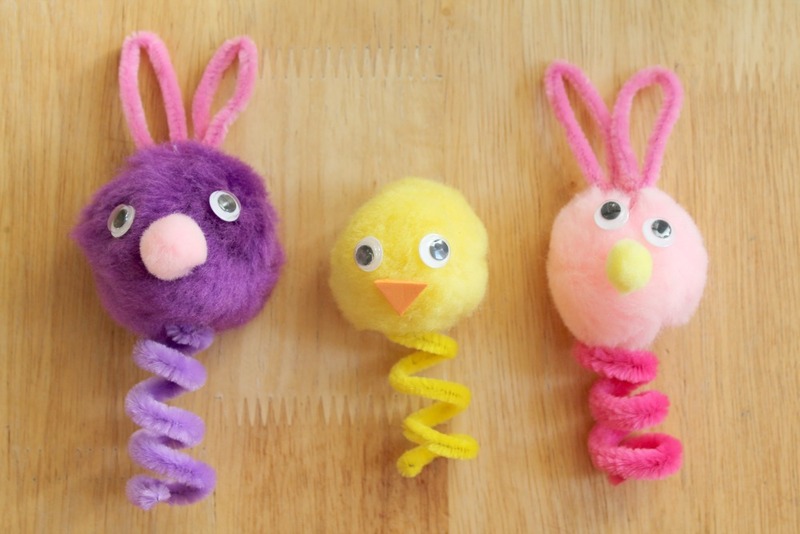 What other Easter craft activities should we try? Love this idea, its nice and simple but looks brilliant, I have never heard of the blu tack fast tack. Sounds fab!